Warning: photo-heavy post. 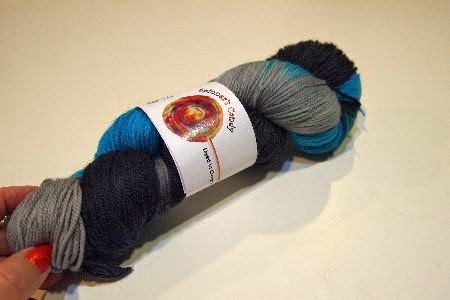 And it's all yarn today! 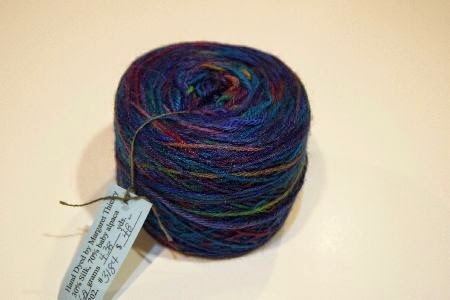 If you're not a knitter, or you don't want to be tempted, it's OK to skip this post! 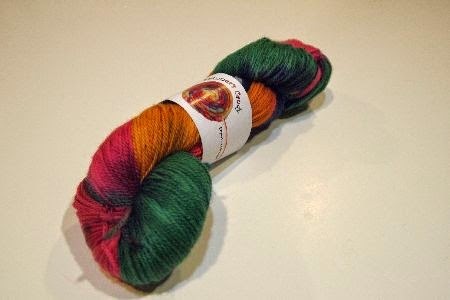 Yes, it's the Craft Yarn Council's "I Love Yarn Day!" My Little Sailor and I took our own "Yarn Crawl" while we were in Oregon last month. And here are the individual yarns and details. 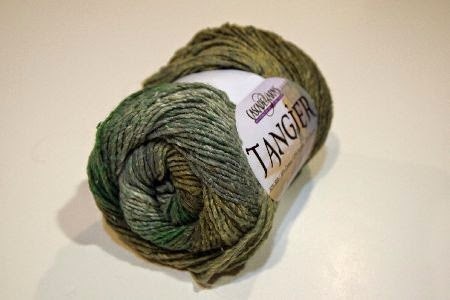 First, from the very tip of the Long Beach Peninsula and Tapestry Rose: Cascade's Tangier. The pattern is a great "Man Scarf," promised to MLS. I really went "overboard" (sorry for the pun) at Purly Shell Fiber Arts in Ilwaco. 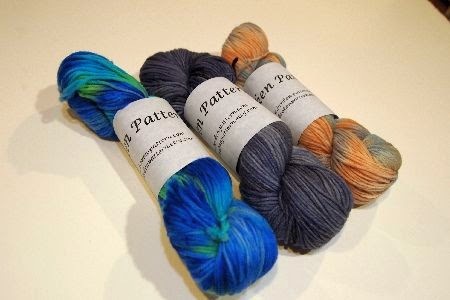 You know how I love a shop with yarn I can't get anywhere else -- and this shop is the best! 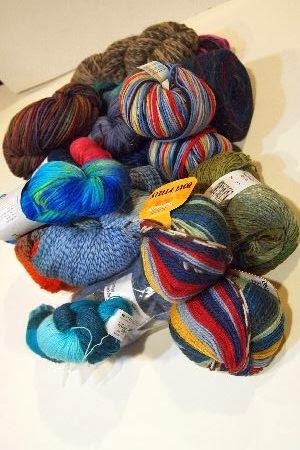 Lots of hand-spuns, hand-dyes, and just generally yummy yarns! Astoria Fiber Arts is a fascinating place. 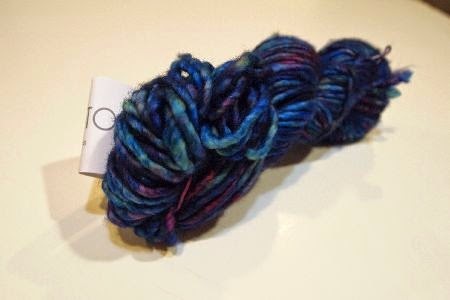 Not only do they sell locally hand-dyed and hand-spun yarns, they have a weaving and spinning school. I wish I lived close enough to take classes there. This one is superwash, so it's tagged for Hats for Sailors. We had so much fun at Coastal Yarns in Cannon Beach. 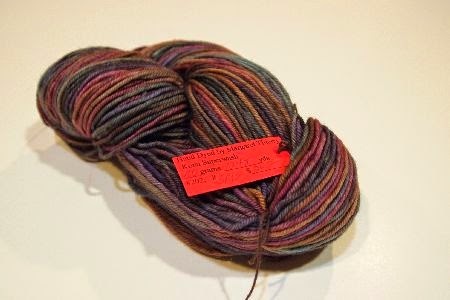 The designer of their Yarn Crawl pattern was also the clerk -- so I had her autograph my copy of the pattern! And Twisted! All colors, all weights -- such temptation! Here's the "I can't remember where I bought this, but isn't it gorgeous?" 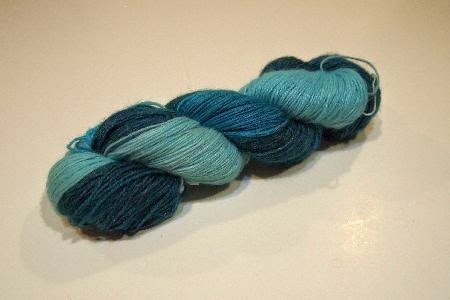 skein. 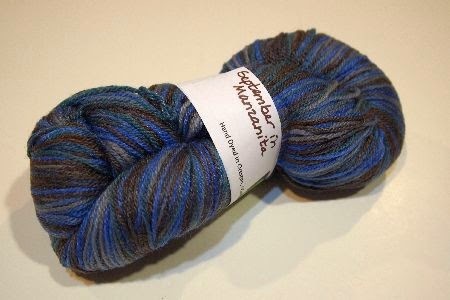 Madelinetosh ASAP, super bulky superwash, and perfect for Hats for Sailors. Good reason for shops to include their shop name on the price sticker! 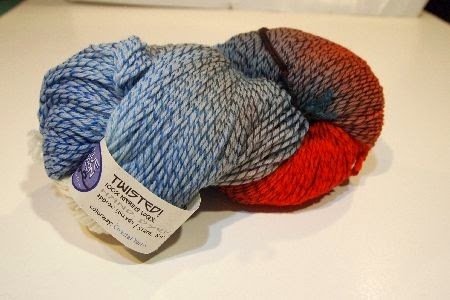 Custom Threads, also in Astoria, featured Cascade Eco Duo. 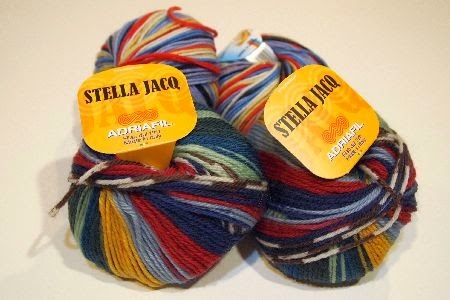 Not a unique yarn, but one that is new to me. Back home in Denver, post-vacay, I promised a Halloween "Viking Beard" hat to Elder Son for Halloween. Rather than make the hat "Viking" style, he chose "Skiff" from Jared Flood. 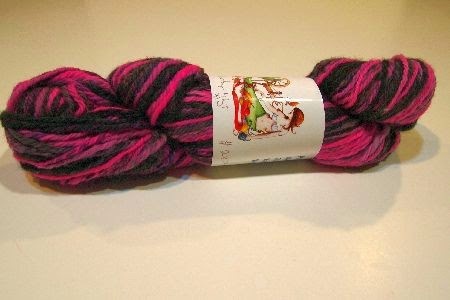 Whoo hooo, Fancy Tiger carries JF's yarn! 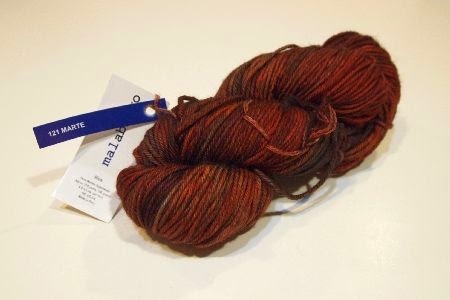 To celebrate my birthday, I picked up this Madelinetosh, "Marte." It has my name on it! Whew! That's enough yarn to see me out! 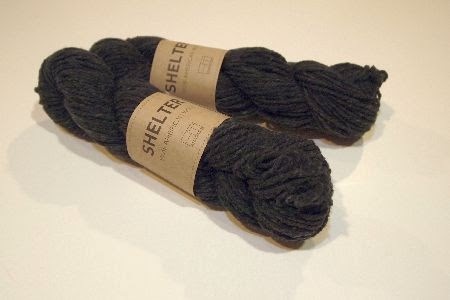 Fabric stash and de-stash returns on Sunday, see you then! 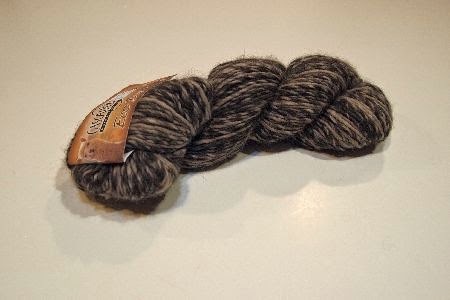 I was at the one in Longbeach early this year and got a lovely skein of un-dyed alpaca. I didn't know about the store in Ilwaco, so good to know - next time I go I have another store to subject the S.O. to!